One From The Gadget Haul – Flawed, Cracked… But Rare! 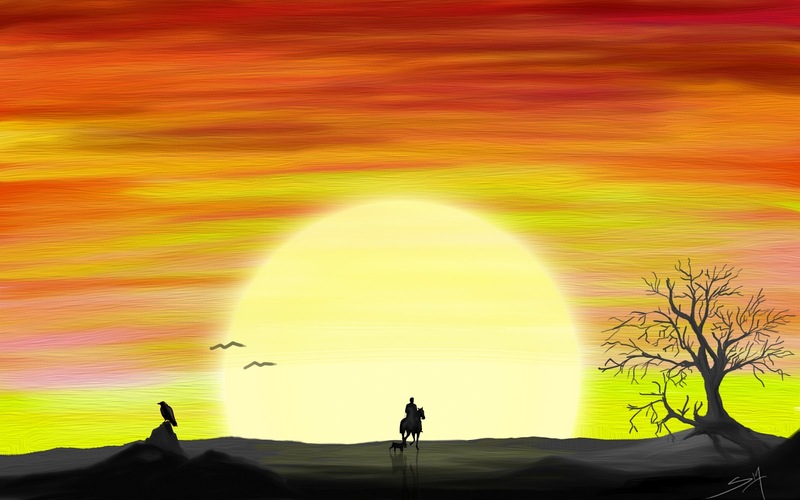 Today, I got myself something I have been wanting for quite a long time… a graphical pen-tablet. The tablet is quite large (actually it is the medium sized one with an active area of 8.8″ x 5.5″)… but it is sleek and surprisingly light. I like the sleek , matte blacks used in its design and the pen is very comfortable. Here is an image of the unboxing. 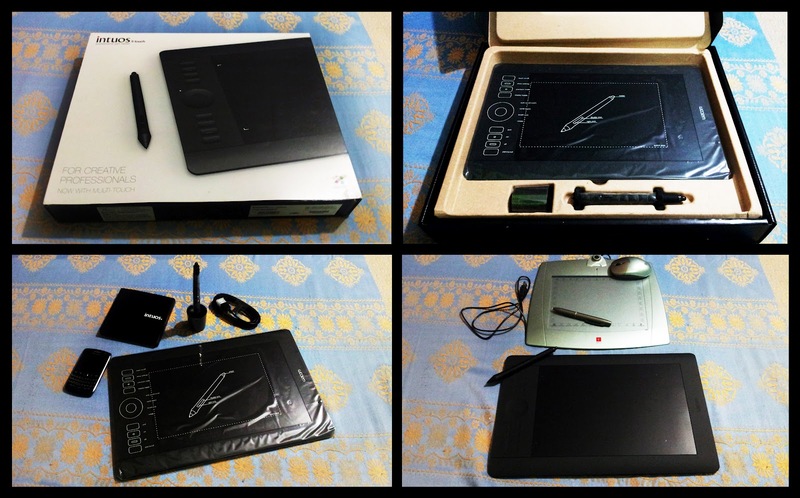 The tablet comes with the installation DVD with drivers and a DVD with some bundled software… a Wacom Brush set (to be used with Adobe Photoshop or Adobe Photoshop Elements), Adobe Photoshop Elements 10 (licensed), Autodesk Sketchbook Express, Corel Painter Sketchpad. The bundled software is good enough to start off directly without any issues at all. Of course, I do have the Adobe Master Collection CS6… so it really didn’t matter so much to me. As soon as I installed the necessary software and got the tablet ready, I gave it a trial run… a 15 minute sketch made with the bristle brushes in Photoshop. It (the sketch) is nothing to write home about…. But just trying out the way the strokes would translate onscreen. Here is the test sketch. Well, I would be careful in the future. I am gonna have a fun time working with the tablet. Nice sketch. See, now THAT is a painted sky (let me know if you didn't get it).